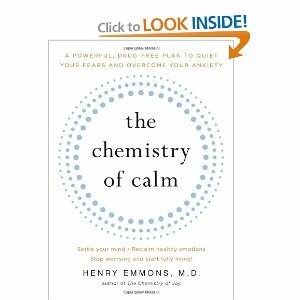 Similar to Full Catastrophe Living, Emmons’ book is about anxiety, stress, and how to live a healthier, balanced life. He also talks a lot about mindfulness, living in the present, and meditation, as keys to that healthy, balanced life. For those who are interested, he also discusses the role of natural supplements in dealing with anxiety and stress. This book was recommended to me, and I have just begun this book, and so have to reserve judgement on it for a while, but I post this here because as I meet with clients and listen to friends, stress and anxiety are major factors in their lives, and something that has an affect on one’s spiritual well-being. To be blunt, most of us need all the help we can get when it comes to finding healthier ways to manage and decrease our stress! After I finish I will post my reflections on the book, so come back later for my thoughts. 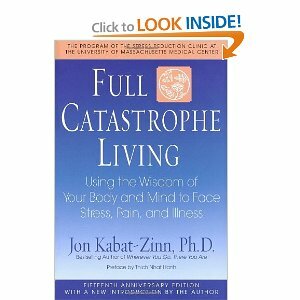 I first heard about this on an NPR program talking about stress reduction and the healing benefits of “mindfulness meditation.” Kabat-Zinn is a proponent of using meditation as a tool for healing. He runs the Stress Reduction Clinic at the University of Massachusetts Medical Center. He shares real life stories of people who have entered his 8-week stress reduction program and found a better quality of life through the meditation practices he teaches. The book basically walks you through the 8-week program, so you can do it at home. You can also buy the meditation CD Guided Mindfulness Meditation to use in your own meditation practices. The meditation practices focus on mindlfulness – learning to be fully present in the moment, and building the skills to move into the present as you move throughout the day. He also introduces an interesting practice – recognizing your thoughts are choices – something we have a tendency to forget! I have found this to be a very helpful resource for dealing with stress. Bonhoeffer was an amazing man, who took his faith extremely seriously. He died in the custody of the Nazi’s just before the end of World War II, because his faith lead him to take actions that put him at odds with the German government. 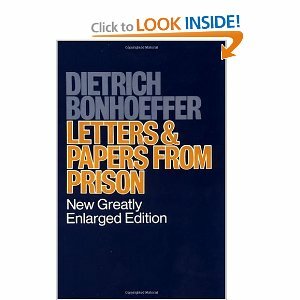 Letters and Papers from Prison are his correspondence with family and friends while in custody, and show how his understanding of God and his relationship with God shaped his life and his decisions, right up until the end. One of the things that draws me to this collection of letters was Bonhoeffer’s exploration of what Christianity would be like without the church – religionless Christianity. I’ll let you read it for yourself and make your own interpretations. 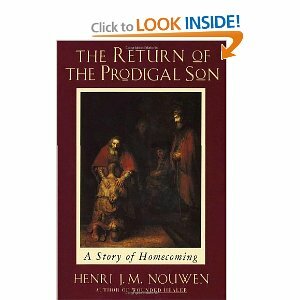 A reflection on Rembrandt’s Return of the Prodigal, as well as Jesus’ parable of the prodigal son. I found it to be a powerful book, that invites reflection on one’s own life and understanding of God. I have gone back to this book several times, and continue to learn more about myself and who I am in relation to God. I mentioned in my bio that I found inspiration in a book about the saxophone – this is the book! 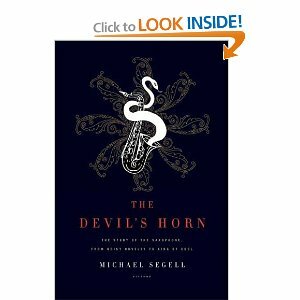 I love jazz, I used to play the sax, so this book got my attention when I heard it an interview with Segell on NPR. The sax has a wonderful history. What I love about the sax is that it thrived on the edges of the music world, a bit of a renegade, that exemplified what is real, and human. I found it a good metaphor for the kind of life that calls to me. I really enjoyed the task Bender gave herself – to take a simple beggar’s bowl, and draw or photograph it 100 different ways. As a photographer, I loved the challenge to take a simple object, and learn to see it in an infinite number of ways. Bender reminds us that this isn’t just about a bowl – it is about life, about people, about events, and the sacredness of every moment, and every person. 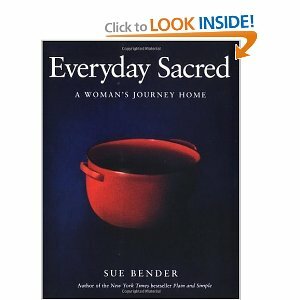 Bender writes in such a way that she invites each of us to take time to see the sacredness around us. A truly beautiful book. This is one I find easy to go back to again and again. I was privileged to be a student of Elie Wiesel in my college years, and to this day, I will say he is one of the most influential teachers I have ever had. He has a profound way of finding the question underneath the story in a way that illuminates very poignantly the problem of suffering and the responsibly of humanity to respond. 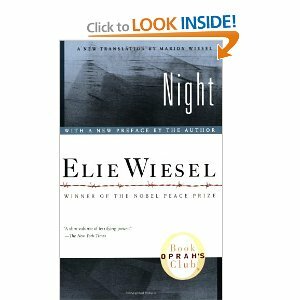 Night is his story of his experience during the Holocaust and immediately after. As always, the questions he raises in his story cannot be easily moved past, but must be wrestled with.